National Star student Rhys Joyce organised a moving Remembrance Day service to pay tribute to all of the people who have lost their lives in conflict. Rhys is in his third year at National Star and is an active member of National Star’s Student Parliament. The Remembrance service took place on 10 November 2017 at National Star’s main site in Ullenwood, and both staff and students attended the event to pay their respects. Rhys read an extract from the poem For the Fallen by Laurence Binyon. The Remembrance service also included showings of Last Post and Reveille before holding a minute of silence. Rhys received the Student Making a Difference Award for planning the event and playing such an active role in it. 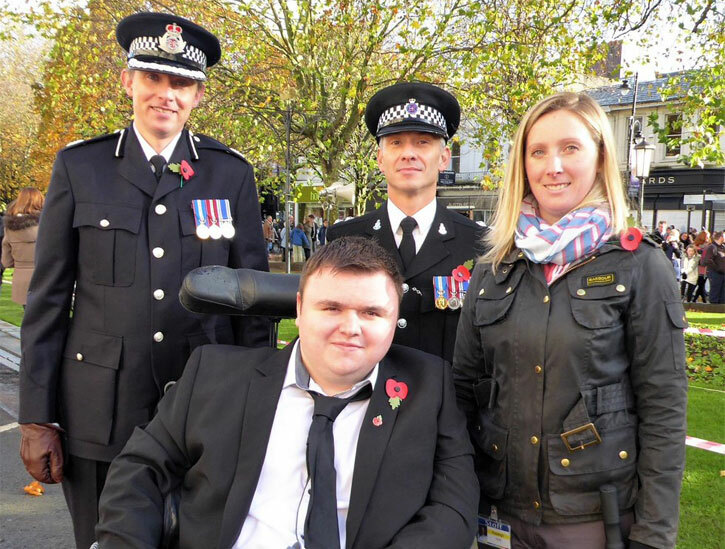 At a separate Remembrance Day service Rhys represented National Star and laid a wreath at the Cenotaph in Cheltenham.